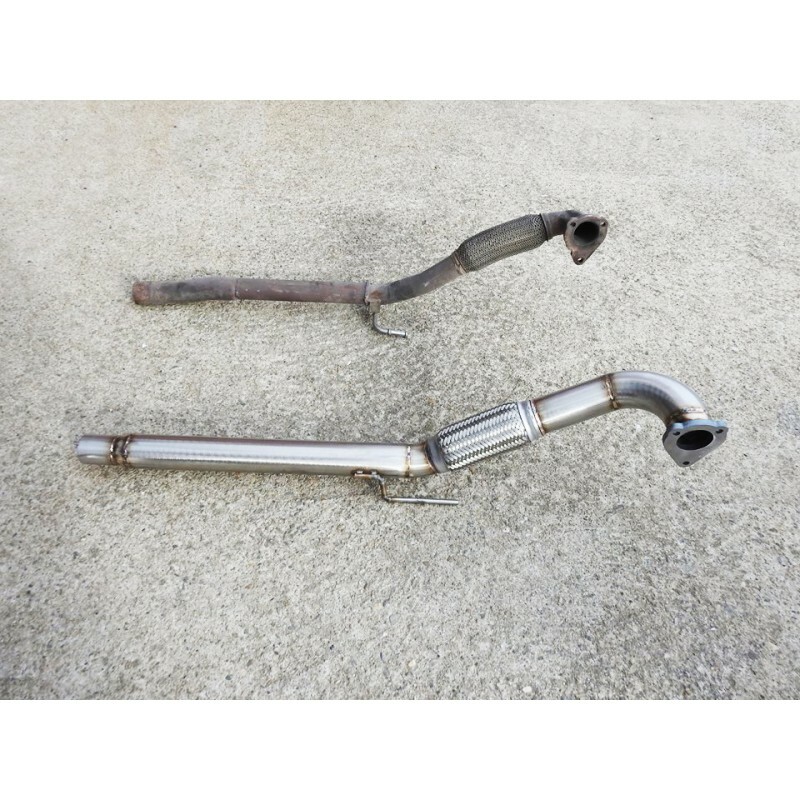 De-cat downpipe to connect the stock rear exhaust. - Manufactured from T304 grade polished stainless steel. - Mandrel bent and TIG welded for strength and durability. 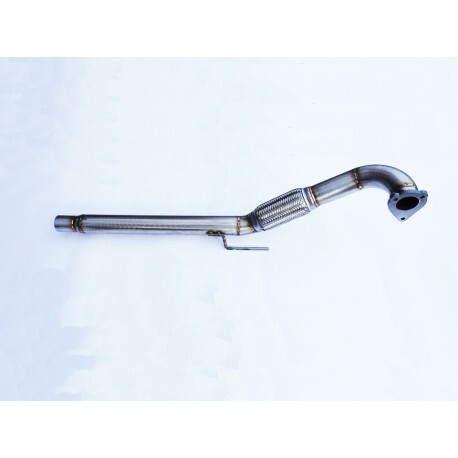 - Built in flexi to reduce strain on your exhaust. 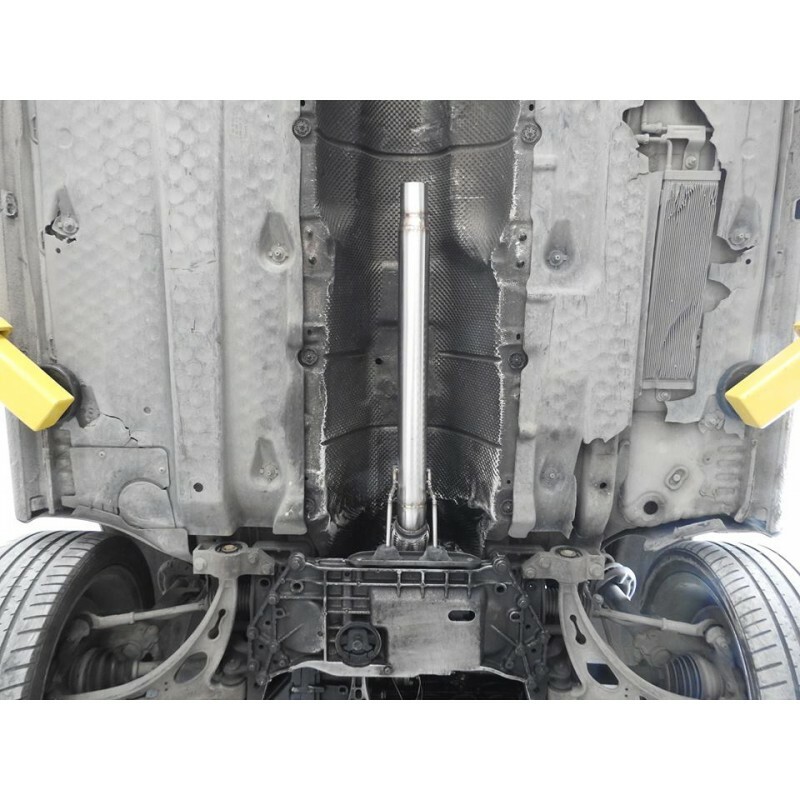 - Direct bolt on fitment.